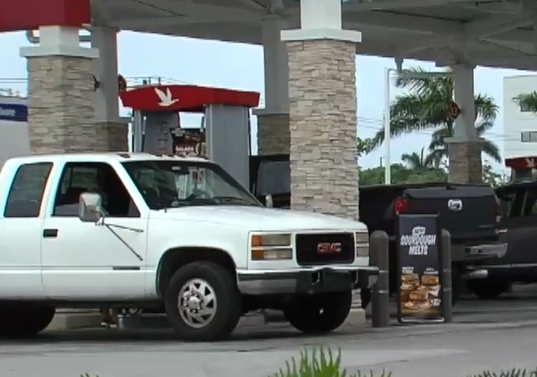 Gas prices are already up 50 cents compared to last year in Florida and could rise a few more cents before the holiday weekend. The average price for a gallon of gas as of Tuesday in the state is $2.87. If you have a job like Annie Lorenzo's, which requires her to drive and meet with clients in need of restoration and storm damage repair, you may have some options for where to fill up. 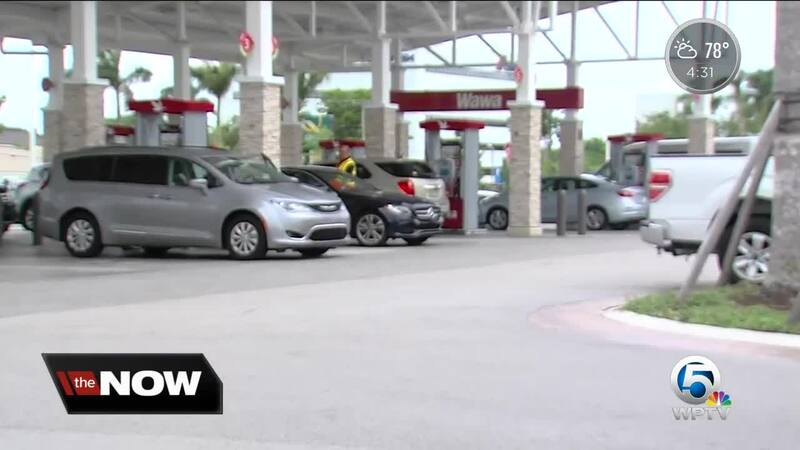 "I cover tri-county, so I'm always going from Miami up here to West Palm," said Lorenzo with United Water Restoration Group Inc.
As of Tuesday, the cheapest gas in the area was in Lake Worth at the Shell on Lake Worth Road and Kirk Road at $2.69 a gallon, according to Gas Buddy. "I live over in Wellington so it's really expensive there, so I always try to branch off and come here cause it's about 10 to 15 cents more there," said Dominic Gatti. Gatti is driving to Orlando this weekend. He can't really fill up now cause he drives to and from school during the week, but for those with shorter commutes, you have more options. "You try to fill up the tank so you can hone in on the amount the gas prices are at now," said Manfred Schmidtke. Schmidtke said he's considering Uber for quick dinners or a night out, to save on the prices at the pump. Other drivers like Kyle Swinson are opting out of driving this weekend altogether. "I'm flying up to North Carolina so I get to avoid the Memorial Day hustle," he said. Swinson drives to meet clients for insurance claims and some weeks has to fill up every three days. "Most of business is done house to house, so I may be in Wellington and then you have to drive to Port Saint Lucie," said Swinson. "If the gas prices weren't so high I may book appointments in Port Saint Lucie and down here, but now I have to be conservative about it and say I can only do this area." Gas prices nationally have gone up 12 cents in the last 14 days. The state average is just under three bucks. To search for the cheapest gas prices in your city, click here.